This is what I noticed yesterday. Please check the attached screenshot, it shows the battery usage stats for my new iPad 6 (two months old) for the last 10 days. I noticed that the Documents app (by Readdle) has been running in the background even though I was not using it. I wonder if this is normal? It doesn't seem like it would be normal, though you might want to contact Readdle about it. It is possible it has a feature that periodically scans for new documents, or has another reason to keep the app running in the background. I agree that it doesn't seem normal. Do you close out the app when you aren't using it? It is normal for apps to run in the background, even if you're not using it. They do things in the background, so that when you do use them, they will perform as you want them to. No reason to be concerned about apps running in the background. Thanks for the response. Yeah I sent them an email, waiting to see what they have to say about it. And it doesn't seem normal to me too. I mean, it's fine if it was active in the background for an hour or two at most. But for 9 and a half hours over the last 10 days? I always close out my apps when I am not using them. I never leave them running in the background. So yeah, it doesn't look normal to me. But I was not sure hence I asked. I think so too, and hopefully, you'll hear from the App's developer soon! I barely used this app over the last 10 days. As you can see, I used it for just 24 minutes, that's less than 3 minutes per day on an average. But it was active in the background for nearly 10 hours. Are you sure this is normal? Thanks again. I'm not on Twitter, but I might consider joining it if they don't respond soon, lol. It's wired why it is running and what it is doing in the background, and I find it even more baffling, the fact that I can't even disable it from running in the background. I wonder if it's the same for everyone? Or is it just me? They might have a small staff and need 24-48 hours to respond. This is a very good and valid point! Doesn’t matter. If it's in multitasking, it will run in the background some. You can always swipe it out of multitasking. That should stop it. But don't see the point of doing so. Turning off Background App Refresh does not stop apps from running in the background. It just helps them do so more efficiently, using less resources. Didn't I say that I close all my apps (swipe them away) when I am not using them? Thanks anyway. And I do hope it's normal. Btw, what is the reason that I don't see the documents app on the list of apps in settings that I can turn off background activity for? I think that's something that only the app's developer can answer! 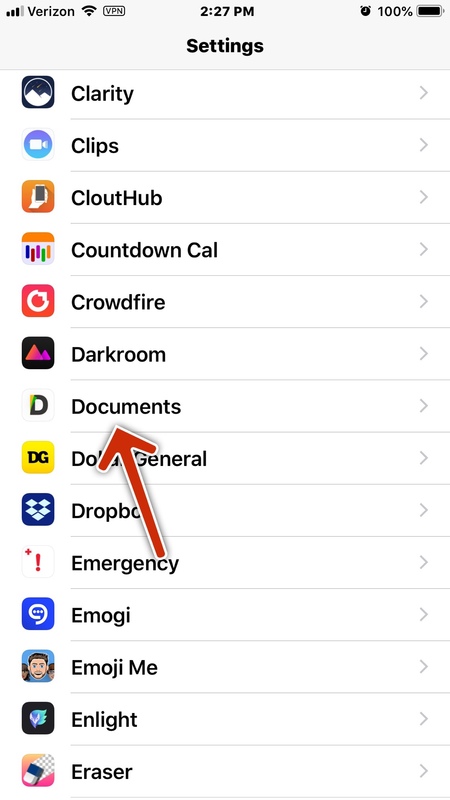 What "documents" app do you refer to? If you mean the Files app, I have no clue. Maybe Apple doesn't allow any change in the settings of that app, so it will perform as they want it to. Why do you worry about apps running in the background? It's not a big deal. However, 10 hours seems strange for any app. Just noticed you said it wasn't a stock app. Mind telling which app you refer to? Maybe use a different documents app. No idea why it doesn't show in your settings list. Contact the developer. I see on your duplicate post, the app is Documents by Readdle. I don't have that issue with mine. Have you tried deleting the app, then reinstall it? Mine does show in Settings. I have clearly mentioned in my post that I am using the documents app by Readdle. I guess I try to read too fast. Yes, mine shows in Settings. Did you try deleting the app, then reinstalling it? Yeah, that's strange. You might contact Readdle and see what they say. If they have no clue, contact Apple Support. I have already emailed Readdle about it, it's been four days and they have not responded yet. I would contact Apple about it, I'm pretty certain that they would ask me to restore. Not something I am looking forward to doing just for a particular app.